L-Glutamine is an amino acid that is required by every muscle in the body, and is one of the most important building blocks in forming the proteins that maintain cellular health. Take two to six tablets one hour before your workout. Do not exceed stated dose. Bulking Agents (Microcrystalline Cellulose, Dicalcium Phosphate), L-Glutamine, Anti-Caking Agents (Magnesium Stearate, Silicon Dioxide), Glazing Agents (Hydroxypropyl Methylcellulose, Glycerine, Colour (Titanium Dioxide)). Food supplements must not be used as a substitute for a varied and balanced diet and a healthy lifestyle. If you are pregnant, breastfeeding, taking any medication or under medical supervision, please consult a doctor or healthcare professional before use. Discontinue use and consult a doctor if adverse reactions occur. Not intended for use by persons under the age of 18. Keep out of reach of children. Do not use if seal under cap is broken or missing. 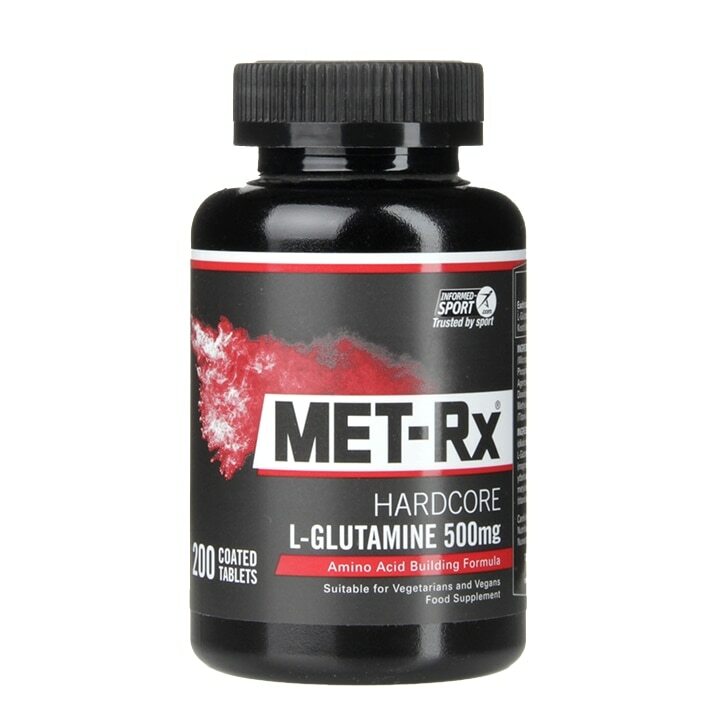 Met-Rx L-Glutamine Coated Tablets 500mg is rated 4.0 out of 5 by 2.